A small group joined a Canadian activist in Winnipeg Saturday to reject a proposed pipeline transporting oil from Alberta’s oilfields. 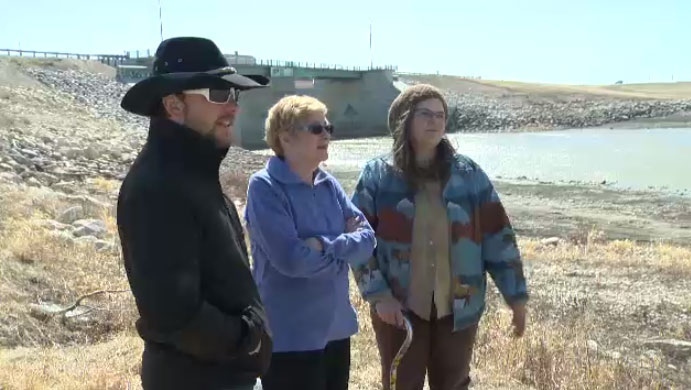 Activist Maude Barlow was in Manitoba to raise awareness about the TransCanada Energy East Pipeline, which would travel 4,600 kilometres from Alberta to St. John, New Brunswick. “The pipeline also goes two metres under the aqueduct that provides all of the drinking water for the people of Winnipeg,” said Barlow. To make her point, Barlow went to St. Norbert; the site of a natural gas line rupture in 1996. “It’s an absolutely insane thing to do; to have this beautiful water and put it at risk,” she said. Barlow, along with some local residents, said if the pipeline carrying oil were to burst, the results could be disastrous. The activist said more information on the pipeline is needed, and would like to see a national debate on the new proposal. Pipeline advocates say the transport option is safer than moving materials, such as oil, by rail. Activist Maude Barlow was in Winnipeg to raise awareness about the TransCanada Energy East Pipeline, which would travel 4,600 kilometres from Alberta to St. John, New Brunswick. 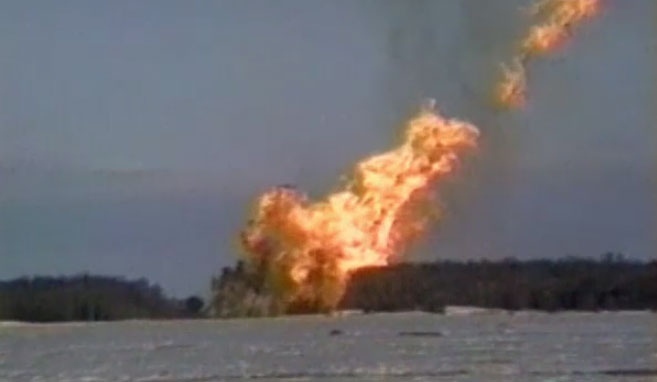 A natural gas rupture on a TransCanada pipeline 10 kilometres southwest of Winnipeg, near the town of St. Norbert, Manitoba on 15 April, 1996.